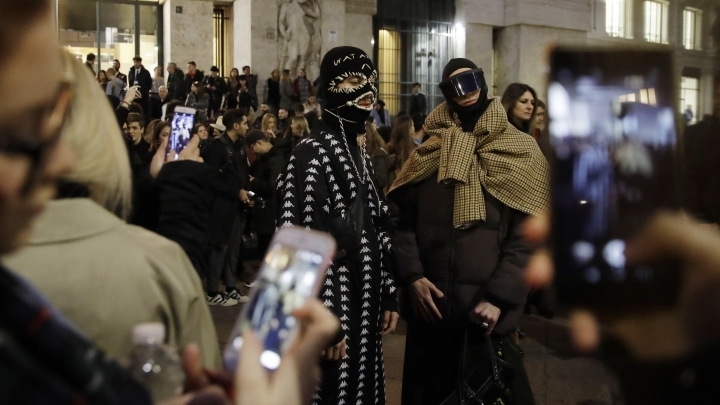 MILAN — For luxury fashion shows in cities like Milan, the runway scenes are rehearsed, the looks carefully chosen and styled, and the seating assignments determined by a clear pecking order. 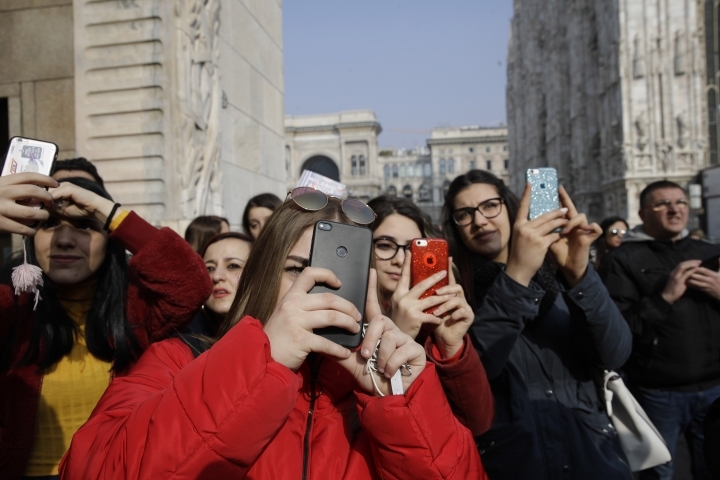 But since fashion is a creative endeavor with no real boundaries, vibrant scenes also unfold outside show venues amid the confluence of social media influencers, fashion editors, celebrity guests and selfie-snappers. 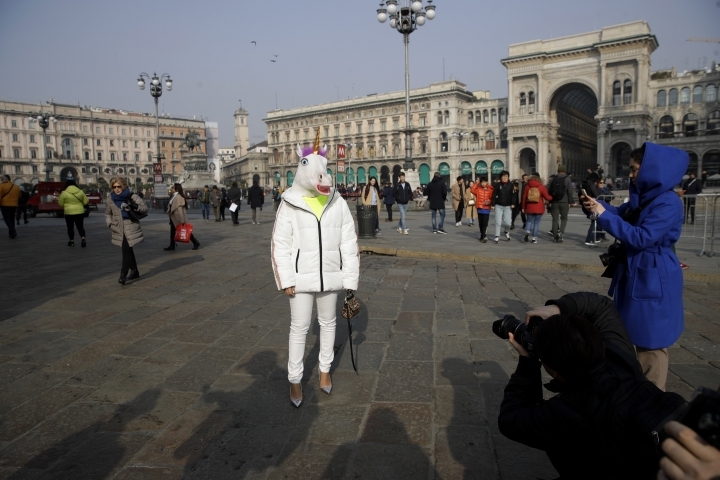 Fashionistas with solid Instagram followings, wearing pieces by the fashion houses whose shows they are attending, stop for street photographers. The houses usually provide the clothes, and the unofficial models are doing their part to promote the latest styles. But aspirational influencers also show up in hopes of being noticed. Some put together outlandish outfits to grab attention, handing out cards with their Instagram accounts asking for "likes." After the shows, it's the same frantic scene in reverse as they rush out and on to the next roving runway, sometimes changing outfits in the back of cars.